PATRICK LAFCADIO Hearn is the most famous Irishman you have never heard of, but for people in Japan he is an Irish writer whose stature is rivaled only by WB Yeats and James Joyce - and Galway is about to become aware of him through a celebration of his life and work in the city. 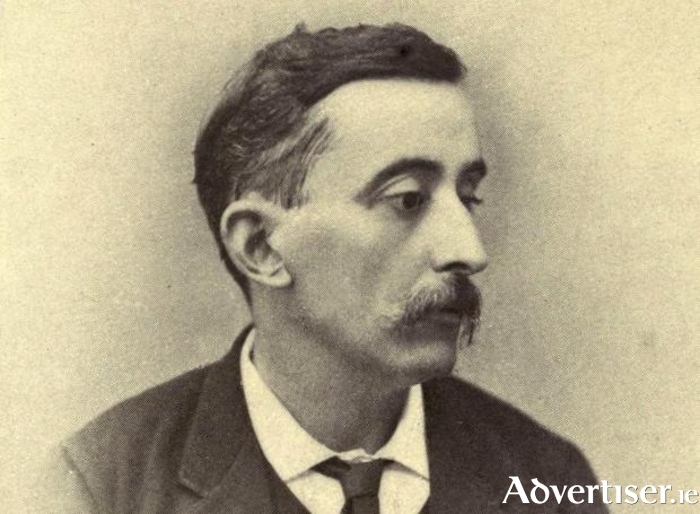 Born on the Greek island of Lefkada to an Irish father and Greek mother, Patrick Lafcadio Hearn (1850 - 1904 ) grew up in Ireland, but left during his teens to study in France, later emigrating to the USA, where he worked as a journalist in Cincinnati and New Orleans. His greatest adventure would come when he arrived in Japan in 1890. It was there he married the daughter of a Samurai, with whom he had four children, and he wrote the books that established his reputation - Glimpses of Unfamiliar Japan (1894 ), based on the nation's folklore (interestingly, in a letter to WB Yeats, he said: “I had a Connaught nurse who told me fairy tales and ghost stories." ); Kokoro (1896 ); and Kwaidan (1904 ). His work helped introduce knowledge of Japan at a time when it was still a mystery to the west. He is also the first person who wrote about a tsunami. To mark this remarkable life, Coming Home: The Open Mind Of Patrick Lafcadio Hearn, takes place in Dublin, Waterford, Tramore, and Galway. The Galway events begin on Monday October 12 at 7pm with a concert in The King's Head by Kyoji Yamamoto, one of Japan's foremost hard rock guitarists, who has worked with Aerosmith, KISS and Phenomena, as well as leading Japanese bands Bow Wow and Wild Flag, and maintaining a solo career. A hugely respected guitarist, he is renowned for his skillful playing and is considered among the first to develop the 'tapping' technique. Admission is free. Chihiro Atsumi, the Japanese Ambassador to Ireland said: “I am very happy that a whole range of events related to Lafcadio Hearn will be held this October to offer people the opportunity to learn more about his life and works. I hope people all over Ireland will deepen their interest in Lafcadio Hearn and Japanese culture, and that the close connections between Japan and Ireland will go from strength to strength in the years ahead."